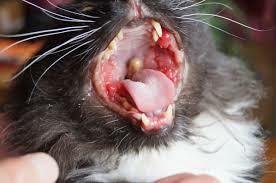 When you know what causes stomatitis in cats, then you have much more control over the situation. Then you’re not at the mercy of the veterinary protocol, which seems to be more focused on the money they receive than on the well being of the patient. This protocol consists of ratcheting up the drugs and procedures as each one fails to work. First come the antibiotics. Then the steroids/cortisone. And finally full extraction of the teeth. Costs vary between vets, but the extraction can end up costing you thousands. And that’s just the financial costs. That doesn’t include the stress to you and your cat and the toxic load of these drugs. All drugs can leave a ‘foot print’ in the body, resulting in never fully regaining their health even after the situation is resolved. Not only that, but none of these measures are targeting the cause. They are only affecting the outcome of the cause, and not very well at that. When you are serious about looking for the cause of any health issue, you will always come to the health of the immune system. When anyone’s immune system is healthy, no problem can become chronic. And stomatitis in cats is a chronic condition. A serious chronic disease. When someone has pain eating, the prognosis isn’t very good. So what contributes to a healthy immune system? Never underestimate the importance of the right diet. Consider how your car would run if you put the wrong fuel in. If it ran at all, it wouldn’t be very well. And if you continued to use the wrong fuel, you would damage the engine. This is exactly what happens when you feed the wrong diet to anyone. Commercial cat food, aka junk food for cats, for the most part, is non-nutritious, inappropriate and toxic all rolled into one. The pretty packets may attract the human, but the contents are pure poison to your cat. I have gone into the details of why, here. It is easy to see what causes stomatitis in cats when you look at the typical diet of domestic cats today. Are they getting the right ‘fuel’ to run a healthy body, free from chronic disease? Or is the diet ruining their ‘engine’, their health? Health Care of Cats Today, or Disease Management? I feel that ‘health care’ is a misnomer. Veterinary treatment, like doctors treatment, isn’t about health care as neither have been trained in nutrition, an essential part of health. Or in the causes. Veterinary care is about disease management. The drugs manage the disease rather than curing it. So the cause is not considered to be of value. Looking for the cause could also undermine their current treatments. Add to that the toxicity of every drug, every vaccine, which undermines the immune system, and you can see trouble in the making. Many people have reported serious health issues resulting from vaccines and drugs. Sadly, the animals who suffer the same problems are normally killed. Because it’s more ‘humane’. Cats living in stressful living conditions will never have a healthy immune system. Stress leads to constant worry, anxiety, fear, anger, resentment, etc. And this leads to chronic illnesses and a short life. Knowing what causes stomatitis in cats means that you can prevent it happening, but also have the means to properly and fully reverse it. The Healing Strategies For Reversing Chronic Disease. These healing strategies don’t just prevent or resolve stomatitis. They contribute to a healthy immune system which means no chronic disease can take hold. Diseases such as kidney disease, liver disease, thyroid problems, cancer, etc. Even when you can’t get everything right, you can get the diet right. Just changing this one important aspect can have a significant effect on your cat. Use natural, holistic health care such as homeopathy, that is truly about the restoration of health, rather than disease management. Try to improve the living conditions of your cat, which will invariably improve your quality of life, too. 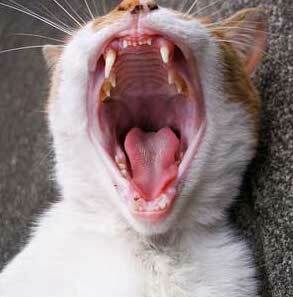 When you know what causes stomatitis in cats, then you know what causes any and every chronic disease in cats. You have the knowledge to make significant changes that won’t empty your bank balance. The diet is all important and needs to be addressed as a priority. That alone may be sufficient. But all too often additional help is required. And the best, the least toxic, the fastest, the most natural and the least expensive is homeopathy.